Did you know that 85% of cats are in pain because of tooth and gum problems? That’s startling, because it’s so easy to prevent! Part of the problem is that catnip remains popular all through Europe and North America. In Asia “Silver Vine” – a more potent catnip – takes it’s place and manages many aspects of dental health for cats. Healthy – Silver vine decreases anxiety, promotes dental health, promotes bonding, and overall makes for a happier, healthier cat. It has been safely used for thousands of years. Natural – Purrfect silver vine is just that – a vine. Why complicate something so great? Loads of Fun – Cats absolutely love silver vine. It’s effects are stronger than catnip. Long Lasting – Cats find silver vine irresistible when it’s first put out – but they will return to the same stick for days, or even weeks! But fear not, Purrfect silver vine is the 100% natural pearly white polishing accessory that your kitties will LOVE to nibble, chew and play with! 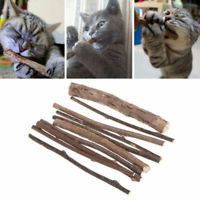 Made from the finest silver vine (Chiscat Actinidia Polygama Vine) – a plant which cats love MORE that catnip. 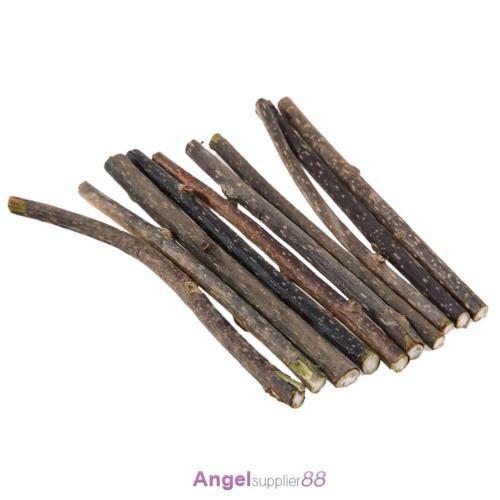 Each stick is handpicked and sterilised for ultimate freshness. Each time your kitty chews away, her teeth are polished, scrubbed clean and left minty fresh! 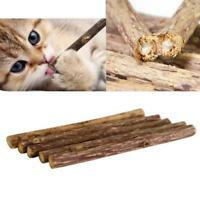 Made from the finest, hand picked silver vine, a plant which is more stimulating than Catnip! (Your fur baby will be practically begging you to let it clean its own teeth! Comes in a pack of 5, each stick can be reused multiple times! ﻿Note﻿: To get the most out of your silver vine, give the cat a stick for a couple hours and when they stop playing with it put it in a jar or otherwise away from the cat. When you give it back to them, they will be excited all over again!